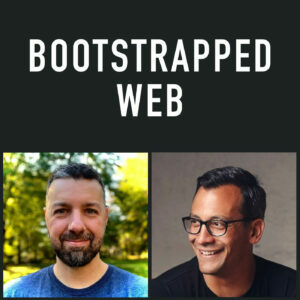 Welcome to Episode 74 of Bootstrapped Web. Jordan is out this week, but I’m excited to welcome my good friend Philip Morgan on to the podcast. Philip is the founder of My Content Sherpa and Drip Sherpa, both of which are productized services around content marketing and drip email sequences, respectively. Philip has also just launched a podcast called Consulting Pipeline Podcast, which is focused on how to get consultants a more robust pipeline. Philip’s own consulting services are now starting to focus directly on working with development shops. Focusing his positioning statement has helped him say no to more customers, while at the same time charging more and delivering more value to those he does serve. Niching down and positioning yourself in a very definitive way can seem daunting at first, but Philip has found it liberating and has given him peace with the work he’s doing for customers. 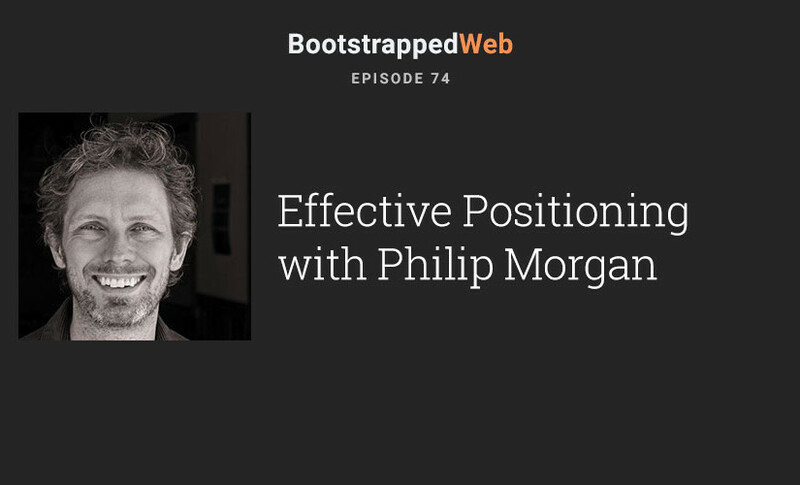 Philip has literally “written the book” on how to position yourself, The Positioning Manual for Technical Firms. Philip has put together a free 6 part email crash course on how to better position yourself within your niche. Click here to get access. 1) Thanks for the great conversation, Brian! 2) Happy to answer any questions here about positioning! Great conversation Philip, thanks for coming on! We’ll have to do a part 2 at some point. a. Don’t see the value. c. Know how but skeered to death to change. Thanks Rick! Ya Philip knows his stuff and shared a ton of value on this one. Definitely one of my favorites too.